LMPL represents employees, or an employer, in negotiations for an enterprise agreement, on a primary issue, eg, pay rates or fixed term employment or productivity goals. Our service is a 2-part off-site process. 1. We conduct an audit of the proposed enterprise agreement. The audit has regard to the enterprise agreement legislative checklist published by the Fair Work Commission, and indicates any shortfall in the terms of the agreement relative to the better-off-overall test. 2. We seek to negotiate your primary issue. For a flat fee of $2200.00 AUD, we represent employees, or an employer, in negotiations, for a period of up to 6 months, on a primary issue. Our fee is based on 20 hours’ work at our work order rate: $180 per hour for the first 4 hours and $92.50 per hour for subsequent hours. We participate in negotiations in good faith. If negotiations extend beyond 6 months, we may seek further payment. Fees are inclusive of GST and are subject to change. 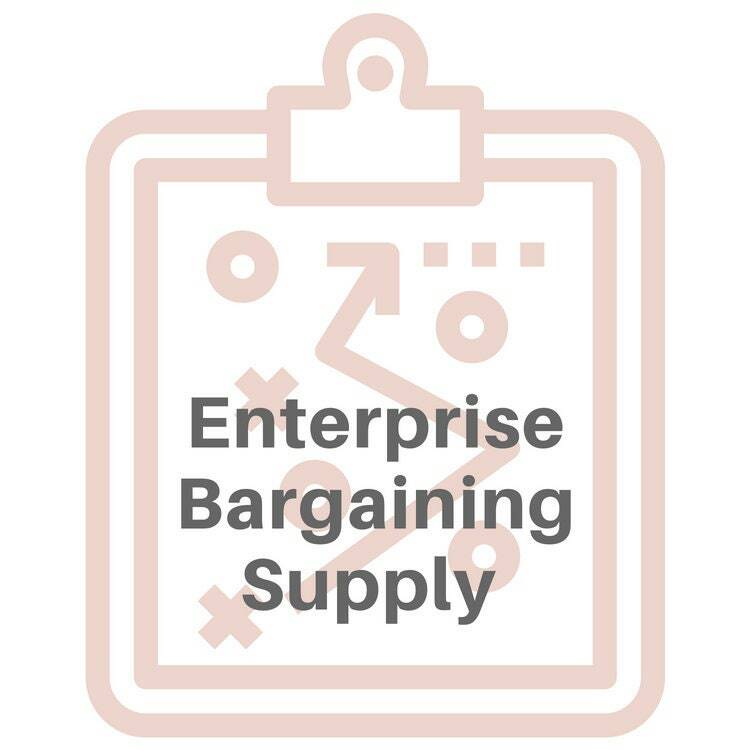 The fee is payable in full here on our website: go to the $550 Enterprise Bargaining Supply, select the quantity that corresponds to the dollar amount you want to pay in one go, and add to your cart. An acknowledgement will be sent to you when you have paid, followed by a tax receipt from us. Supply commences upon our receipt of full payment. We send you materials to assist appointment of us as a representative. In the first fortnight of engagement we supply the audit. Note: an employee or an employer may appoint a person to be their representative at any time during the bargaining process. For the sake of certainty when we represent employees, we prefer to receive instructions from up to 4 of you in the group, and we email you our communications for the engagement. In serving you, we: identify relevant modern award/s, run the better-off-overall-test across the proposed enterprise agreement in relation to employment conditions; negotiate by teleconference on the primary issue; supply the salient points of bargaining meetings; and check that the enterprise agreement is properly approved. Our fee applies regardless of the number of employees represented by us and regardless if negotiation takes less than 6 months. No part of the fee is refundable to a person who appoints us as their representative and then revokes the appointment, unless each person represented by us is, at the same time, a signatory to revocation. In this case, we would adjust the amount payable to actual time worked. Note: actual time worked could be more than 20 hours, in which case there would be no refund. We support a competitive industrial relations environment with differentiated IR services and products, and consumer choice. If you have any questions about our supply, please contact us on +61 1300 554 214.